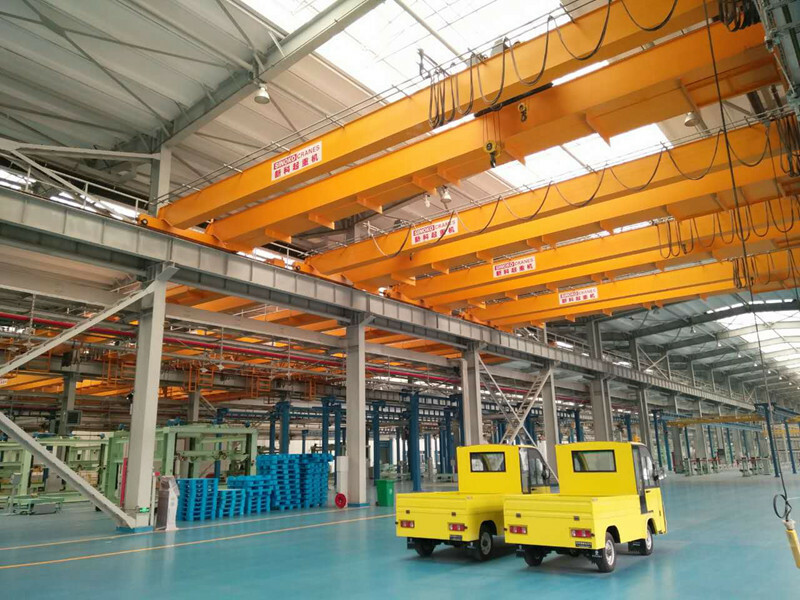 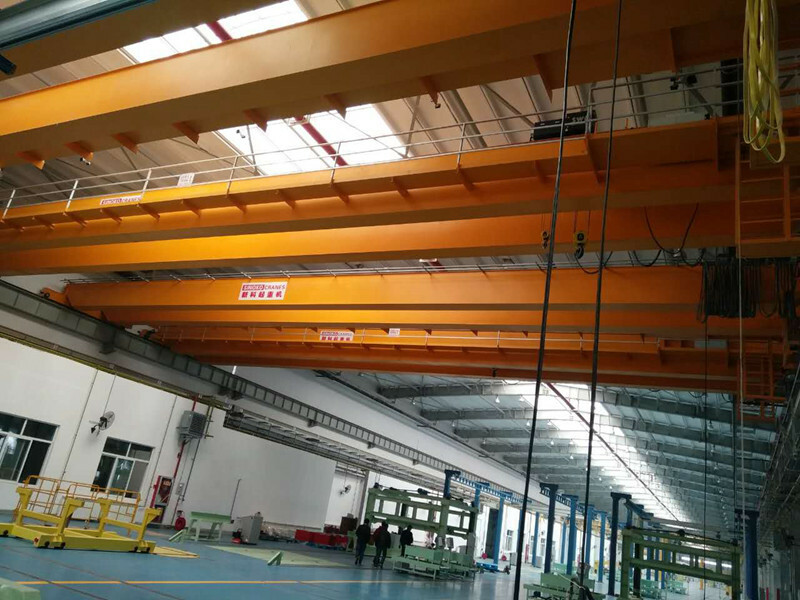 Double girder overhead traveling crane with hook suitable for indoor or outdoor fixed cross intercropping handling and transport work. 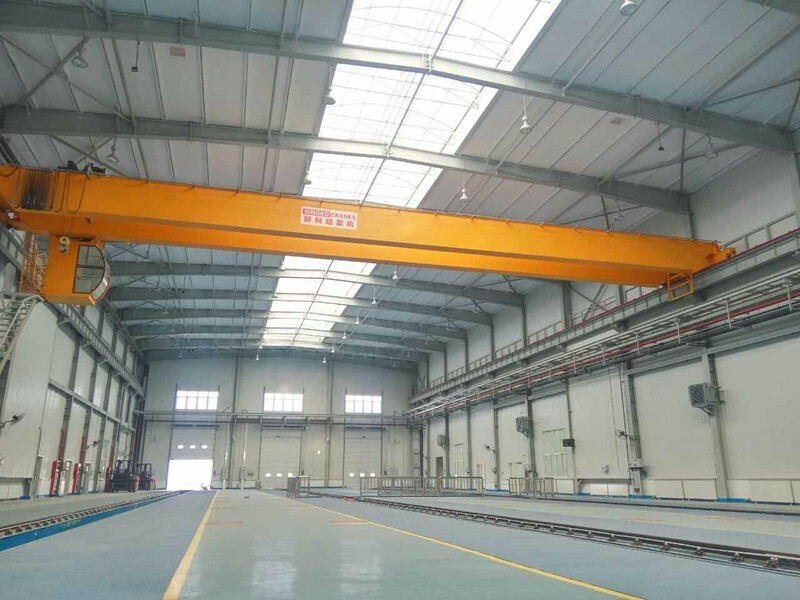 QD type electric double beam bridge crane is composed by the bridge frame, crab, trolley travelling mechanism, electrical equipment. 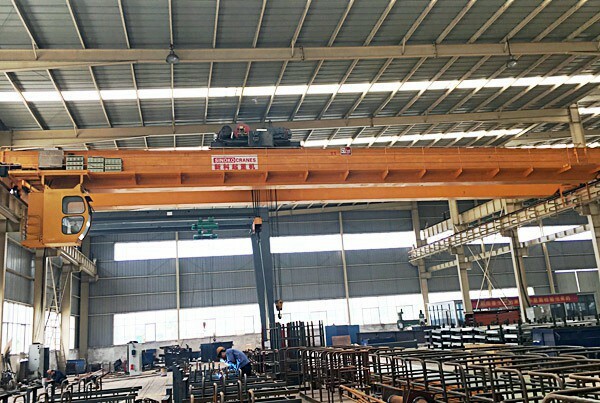 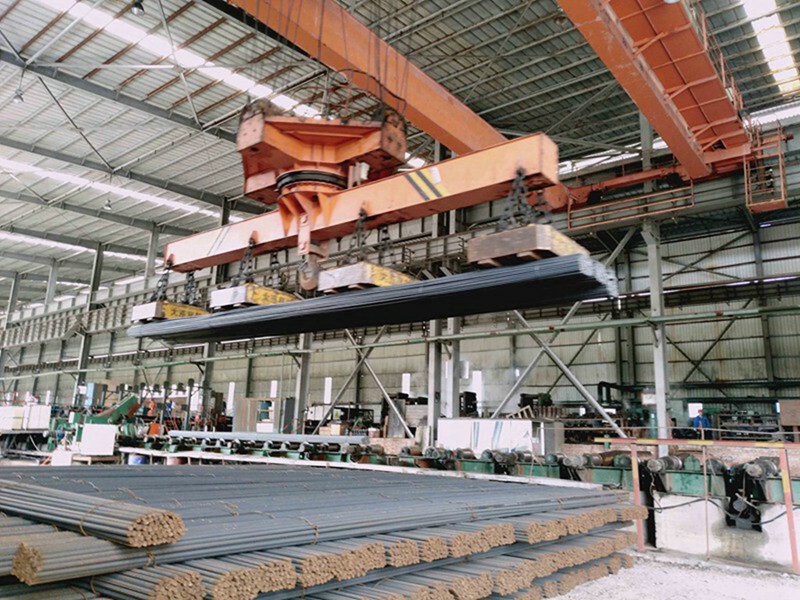 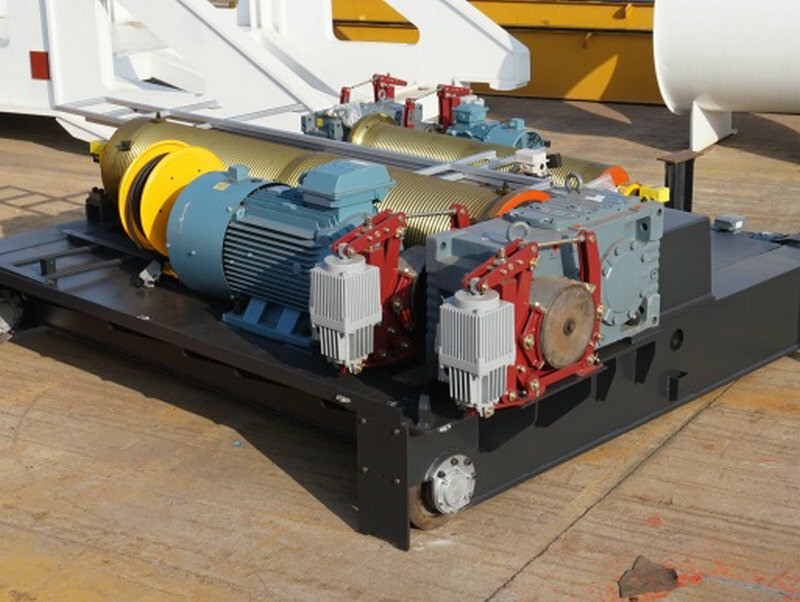 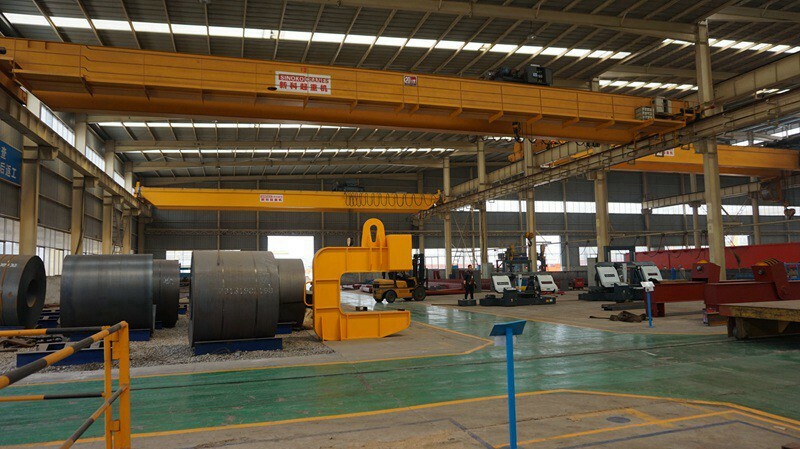 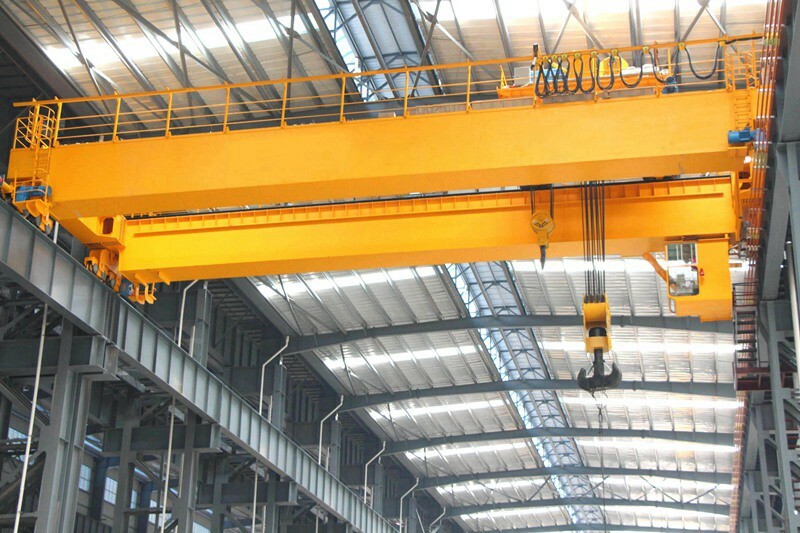 This crane is suitable for the workshops, good yards and warehouses of the departments of stations, ports, industrial and mining enterprises, lifting, transporting, loading and unloading all kinds of materials in a fixed span. 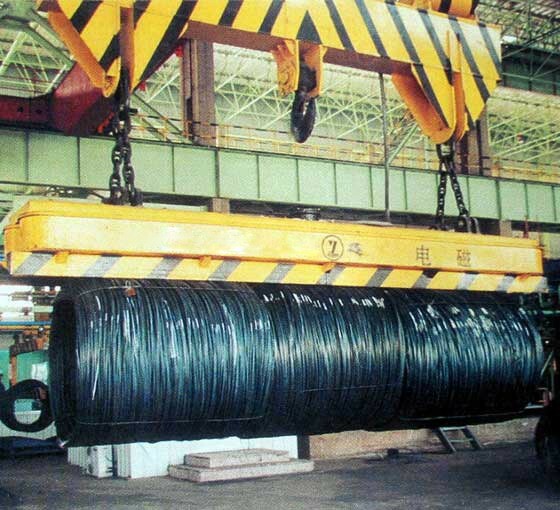 Depending on the different using frequency, it can be divided into A5, A6,A7 class. 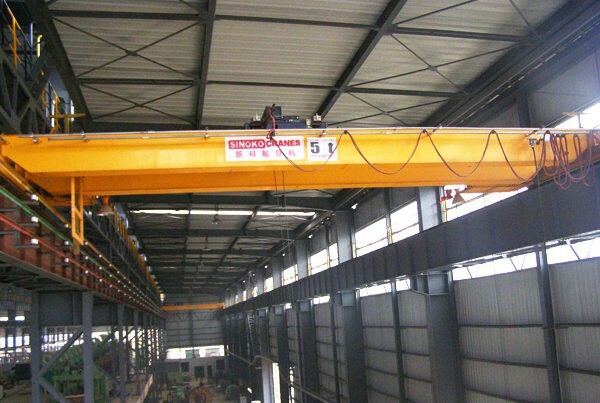 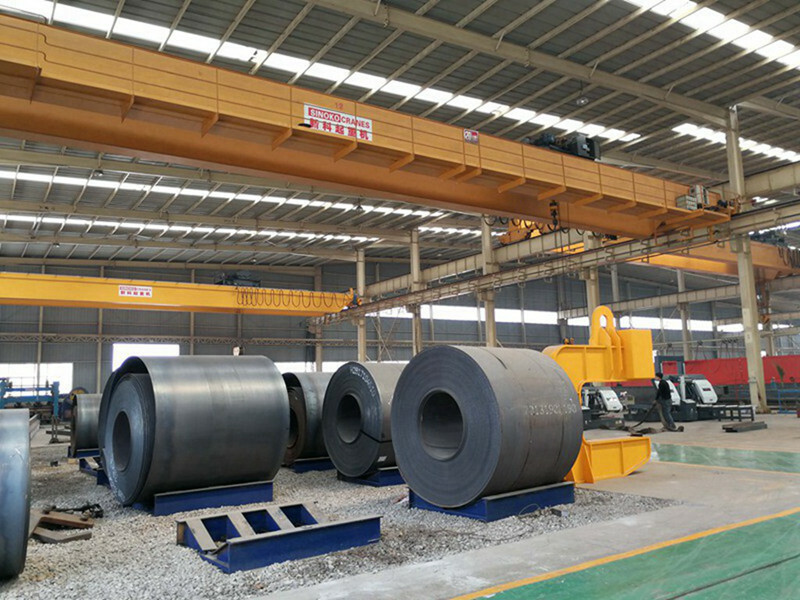 The maximum capacity can be up to 450 ton.